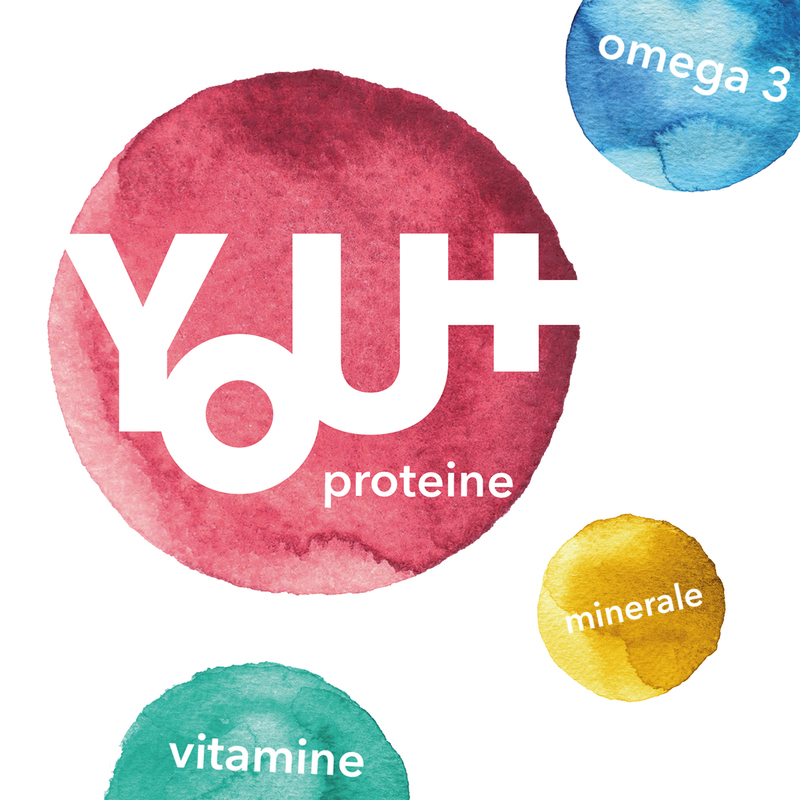 The You + salads range has been thoughtfully designed to meet today's nutritional needs and bring extra benefits. The new super healthy ingredients! There is a wide variety of foods with a positive impact on human health, making it difficult to select only a few. With all recent research based on the nutritional value, we chose six of them: avocado, broccoli, sweet potatoes, courgette, dried tomatoes, parsley and Kale cabbage. You have definitely seen in various hypermarkets or even kitchens the small, bright green colored little grains. There are the so-called germinated seeds or germs, for short. Curiosity is known to increase our appetite, so let’s find more about these germs. You can think of germs as the embryo of the seed. They are, in fact, the reproductive part, which, through germination, allows it to grow into a mature plant. Therefore, the germs will contain the same characteristics and benefits as the plants into which they will grow, which is why they are worth eating. Germs are rich in vitamins, minerals, proteins, as well as healthy fats. In order to preserve these properties the most useful consumption recommendation is: as close to the natural state as possible. For instance, they can be consumed raw in a salad, as a side dish, or in addition to a cream soup. Of course, they can be used in any meal, if you use your imagination. Just remember that they preserve their vitamins content only as long as they are not thermally-treated. It is well known that broccoli is a plant with numerous health benefits, which deserves to be included in our daily diet. When it isn’t available we can use its germs, which are rich in proteins, vitamins A, B, C, E and K – a real vitamin blast! Some of these vitamins are also antioxidants. So, we can also benefit from their property to help us fight against the free radicals. Whether we are talking about white or red radishes, one thing is certain: vitamins A, B1, B6 and C are present in their germs in abundance. Besides, they come packed with folic acid, iron and potassium. Leek germs help the immune system to function properly through their high content in vitamins C, B, as well as A, the champion vitamin in preserving eye health. These germs represent an incredible source of antioxidants, vitamins A, C, E and K, minerals, as well as proteins. Nutrition is in high demand these days and it is constantly evolving, according to the most recently conducted studies. Those who seek to have a healthier lifestyle and to eat properly can take full advantage of these researches. Vegetables? A term seldom heard recently, but one that carries a high nutritional significance. People have forgotten all about beans, whether we’re talking about peas, lentil, chickpeas or white beans (also known as “poor man’s meal). These beans offer a significant amount of plant based proteins, which should not be overlooked in our daily diet. Besides being used as such, you will discover flours made from these beans, which can be used as an ingredient in a multitude of meals. Let’s encourage local agriculture and farmers, let’s choose as many plant based meals, i.e. fruits and vegetables. The western diet has drastically reduced the consumption of vegetables and fruit, both by adults and by children. An intervention is required in order to change that: eat as many salads as possible! Recent studies have discovered that the health of the intestinal micro biome is very important in digestion, colon health, immunity, as well as weight loss. What is a micro biome? All beings living in our body and on its surface form an ecosystem called a “micro biome”, which can reach up to 1.5 kg in weight and are good bacteria. 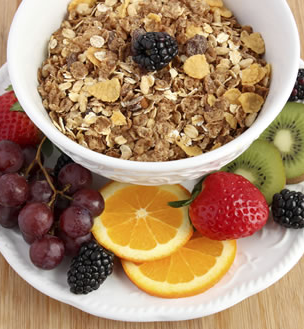 The importance of whole grain cereals and why we should choose them is well known these days. Thus, whole grain flour is considered a better option than refined flour as it’s beneficial by providing a higher intake of fibers, a slower digestion and a constant sugar level. Whole grain cereals also provide prolonged satiety, being useful in weight loss. 2016 is the year when we truly realize that sugar is present in a wide variety of foods. We have come to consider sugar as a real “food in our diet” and this has led to a series of health problems. They include obesity, cardiovascular conditions, arterial hypertension, diabetes, as well as many others. We have come to compare any taste with the sweet taste we are used with. Unfortunately, we were wrong, we should see sugar as a spice, not a food. We should consume it in small amounts, at regular intervals (not daily). Fat has returned in our diet gloriously, the latest studies forecasting a bright future for it, with no connection with cardiovascular conditions and weight gain. It is recommended to consume natural foods, for instance dairy products with natural fat content. Partially or fully skimmed dairy products come packed with preservatives and even sugar. Portion recommendations remain the same, at moderate consumption rate. Let’s eat like the Northerners. That means plenty of vegetables, fruits, whole grain cereals, fish and seafood, natural dairy products and healthy fats. Just like the Mediterranean diet, so much discussed over the time, the foods rich in omega fatty acids and the antioxidants are on top of the healthy list. This type of diet promises weight loss, improvement of arterial hypertension, of cardiovascular conditions and diabetes. Only good things about the North! 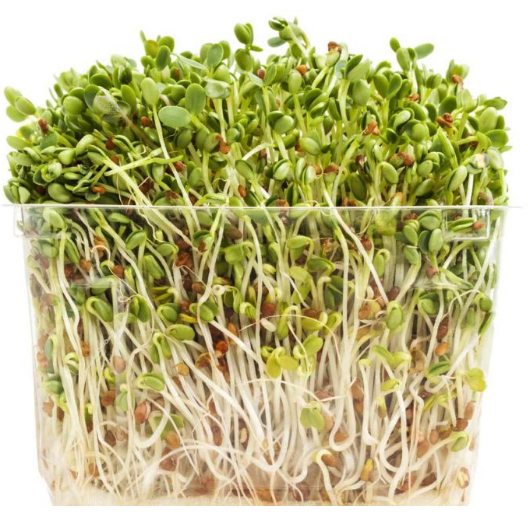 They are in high demand due to their high content in calcium, proteins, fibers, antioxidants, iron and potassium. Where else could you find so many nutrients in one item? These drinks are in full swing this year, vegetable smoothies in particular being in high demand. They are an alternative way of consuming vegetables and there is an almost infinite number of combinations you can try. You just can’t fail with them, any mix will provide a blast of vitamins and minerals. Not to mention it is superior to fresh juice, because it preserves the entire pulp and the fibers it comes packed with. We try to encourage a balanced diet and to encourage people to take an interest in it. Let’s stop following so many diets, frustrating ourselves, counting the calories, measuring our food and ourselves every moment of the day and let’s look at food as a natural, pleasant and necessary thing. Let’s be healthy, both as bodies and souls! Known as wild fruits by the ancient Greeks and Romans, and highly valued in the Middle Ages, strawberries (Fragraria ananassa) have been grown in European gardens only since the 18th century. They are in fact a hybrid between wild strawberries from North America and Chile. Although found on the shelves of the supermarkets as early as May, strawberries become truly juicy and tasty in June. This is the period when we can fully enjoy the multitude of benefits that these fruits provide. After all, they are considered to be some of the most nutritious fruits. After blackberries, blueberries and raspberries, strawberries are, in fact, the fourth richest fruit in antioxidants. Antioxidants fight against cell aging by protecting them against the free radicals and thus reducing the occurrence of cardiovascular conditions, of strokes. They can also help increase the lipid profile by increasing the good cholesterol (HDL), reducing the bad cholesterol (LDL) and reducing the triglyceride level. 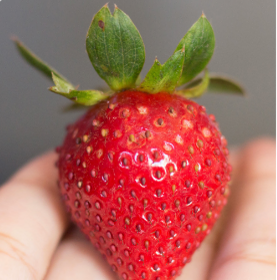 In addition to their antioxidant properties, strawberries have a significant amount of dietary fibers (2 g/100 g). They help the digestive system and improve the bowel movement, offer prolonged satiety, delay sugar absorption and reduce the cholesterol level. These fruits are also abounding in vitamins and minerals. The have high levels of vitamin C (100 g of strawberries provide 58.8 mg of vitamin C, representing 98% of the daily requirements for an adult), vitamin K, folates and manganese. All of these, for only 32 kcal/100 g! Although strawberries are a nutritious food, they should not be eaten in excess. Consumed in large amounts, fruits can cause gastric discomfort and flatulence. They should be eaten fresh, as a snack between meals, in order to make the most of the vitamins and minerals they contain. With its colors ranging from green to violet, having smooth or crinkled leaves and being related with the Romanian cabbage, the broccoli, the cauliflower or the brussel sprouts, kale is one the most nutritious foods on earth. Its reputation is rightfully earned, having an extremely high nutritional density. Thus, compared with other types of cabbage or foods from the same family range, kale offers many more benefits in a much greater quantity. It’s not for nothing that Manhattan millionaires enjoy having it, according to the New York Times, at any time of day and any reception they attend. 100 g of kale provide only 50 kcal, thus having a low energy density. Kale is a “blast” of vitamins and minerals, if we consider that the same 100g that provide the macronutrients above also provide nearly 300% of the daily necessary of Vitamin A, 200% of the daily necessary of vitamin C (almost 4.5 more than spinach) and 1000% of the necessary of vitamin K (vitamin K being essential for blood clotting)! On top of that Kale is a source of calcium (14% - with very good absorption), potassium (13%), copper (14%) and magnesium (39%). Thus we benefit from a pack of vitamins and minerals. Basically, kale has more calcium than milk and more vitamin C than an orange, and this transforms it into the super-food of the moment. Studies have identified 45 different flavonoids (among them kaempferol and quercetin) in kale, with antioxidant and anti-inflammatory properties. Antioxidants are present in a high amount, being represented by beta-carotene (precursor of Vitamin A), Vitamin C, flavonoids, polyphenols, all of them fight against oxidizing stress, cell ageing, cardiovascular conditions, arterial hypertension, being anti-inflammatory, antiviral and antidepressant substances. In order to preserve its vitamins, it is recommended to eat raw kale (just washed for maximum 5 minutes under a jet of water), boiled or steamed (again, for maximum 5 minutes). Prolonged heat processing poses the risk of losing the Vitamin C and the antioxidants. Furthermore kale consumption facilitates weight loss, since it has a high content of dietary fibers and a high amount of water. It offers a prolonged feeling of satiety, being useful when you want to lose a few kilos. In order to gain the most of it, you need to eat it at least 2 or 3 times a week. With the baggage of properties, vitamins and minerals it provides, kale should be eaten daily. Did you know that the daily calories intake from carbohydrates represents 50-60% of the daily necessary calories? Did you know these are a main energy source for our bodies? Chickpeas, lentils and white beans are all part of the group of so-called good carbohydrates, the ones which are beneficial for our bodies, in particular due to their slow assimilation. Chickpeas are an excellent source of fibers and very rich in antioxidant phytonutrients. Lentils (“a small nutritional giant”) is a very good source of fibers that helps reduce cholesterol. Lastly, beans are a fat-free source of proteins with a high content of magnesium. They are called good carbohydrates due to the fact that they decompose slowly, providing a constant energy ratio for a longer period. In addition, they help remove toxins, reduce the cholesterol level and maintain an ideal body weight. What about the so-called bad carbohydrates? Pasta, cake, chips and soft drinks can generate large releases of insulin in the body, which can increase the cholesterol level in the blood, increasing the risk of cardiovascular conditions and diabetes. In conclusion, carbohydrates play an important role in a healthy diet. A total exclusion of these from our diet is a mistake, we just need to choose the good ones. Ideally, food provides both energy and other substances called micronutrients, such as vitamins and minerals. Sadly, much of today’s food is so processed that energy is the only provided element. This energy is called “empty calories”, precisely because of its lack of nutrients. Sugar, highly refined flour and alcohol are typical sources. Oils and industrial fats are a close second, if the original structure was altered by processing. And when the “mass” is a mix of sugar, refined flour and industrial fats, then the defining equation is: high caloric density combined with low nutritional density. A series of industrial sodas, sweets and snacks share this shortcoming. In addition, some components can be not only empty of nutrients, but also harmful for the metabolism, endocrine, cardiovascular system and even for the psychological wellbeing. Science has proven these effects for sugar and trans fats, and the fight with obesity and diabetes already has an enemy in these components. The opposite is represented by nourishing foods which are nutritionally dense and provide a diversity of quality nutrients. Often, they provide a lot of energy, as in the case of seeds, quality oils, cereals, dried fruit or some dairy products. Other times, the foods are low in calories but rich in term of useful constituents. This is the case for many fruits, lean meat, fish, salads, soups and vegetable side dishes. These foods are nutritionally dense and low in calories, placing them as the opposite of “empty” calories. If there were an ideal food, it would certainly be nutritionally dense! 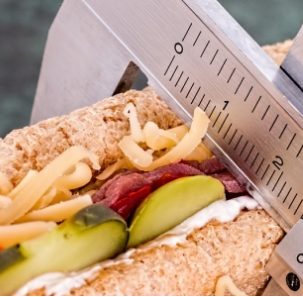 Nutrition and medicine nowadays are experiencing a dramatic spread of metabolic diseases: obesity, diabetes, hepatic steatosis, dyslipidemia, polycystic ovary syndrome, hypertension and atherosclerotic cardiovascular disease. Science has concluded that genetics cannot explain this explosion of metabolic spectrum disorders. However the "Western" modern lifestyle that brought great technologic progress also came with several "fast" life drawback. We serve improvised meals on the run, we are severely stressed, we sleep badly and we are seating too much down or in front of the computer screens. A healthy lifestyle means keeping fit. From walking outdoors to the so diffused forms of organized movement, the physical activity regulates numerous biological circuits. Along with that, a healthy diet provides the fuel and raw material from which our cells are built. We are what we eat. Fatigue, insomnia, focusing problems at work, digestive disorders, headache and especially our mental state are all rooted in the way we eat. There is no need for an army of specialists to advise us on having breakfast or having regular and diverse meals and avoid even the small bites or juices that we believe them to be bad or unnecessary. A healthy lifestyle lived to the end means even more: not smoking, a moderate consumption of alcohol, more than a good sleep and stress management. Every step taken in this direction will lead us to a better shape, more energy for the challenges of our fast-paced lives and certainly to a pleasant and healthy life. Healthy eating is the way we are covering our nutritional needs. Different versions of the accepted scientific nutrition, including the Mediterranean diet, medical diets, vegetarian or omnivore patterns and various options of different communities all have in common a major principle: the adequate supply of nutrients. The human body needs a wide range of nutrients to reach the composition of the body or to be used for optimum performance. The cells contain protein and fat in their structure and the body's main fuel is the glucose from the food carbohydrates. The functioning of biological systems require, in addition, components such as: calcium (skeletal system), iron (blood circulation), amino acids (muscular and immune system), fats (nervous and endocrine system), sodium and potassium (physio-chemical balances), magnesium, iodine and vitamins. Many other metabolic, digestive or protective benefits can be obtained from fibers, probiotics, antioxidants and phytonutrients. Not surprisingly, only a diverse diet can provide all this palette of nutrients. The association of several components enhances the assimilation of others, as soups and salads have demonstrated. Furthermore, numerous metabolic and cardiovascular benefits of fruit and vegetables are constantly being discovered. The "super-food" group returns regularly to the forefront thanks to the inexhaustible reservoir of surprises in nutrition. 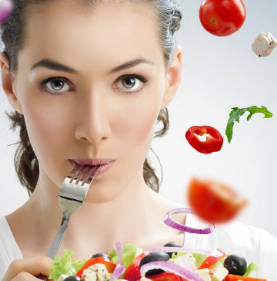 Therefore, if there is no super-food but instead there are valuable foods that can be included in a healthy diet. This cannot be otherwise than adapted to our complex needs, so inevitably diverse. Our body depends on water in order to survive. Each cell, tissue or organ needs water. Therefore, in addition to diet, physical activity and rest, proper hydration is one of the main features of a healthy lifestyle. The human body contains over 70% water, a percentage higher in men than in women, phenomenon explained by the percentage of adipose tissue (containing very little water). The higher the fat percentage, the lower the water percentage. In summer, it is important to hydrate properly. Still we have to be careful what type of water we drink, in order to ensure the proper transport and the absorption of nutritional substances, to help the digestion, to maintain kidney functioning and to control the acid-base balance of the body. Dehydration symptoms consist of a feeling of dry mouth, prolonged fatigue, dry skin, drowsiness, intense thirst, headaches and dark colored urine. Still water is a good choice for absolutely everybody, while mineral water is recommended only for people who don’t suffer from kidney or heart conditions. These being said, all that is left now is to start hydrating ourselves correctly. 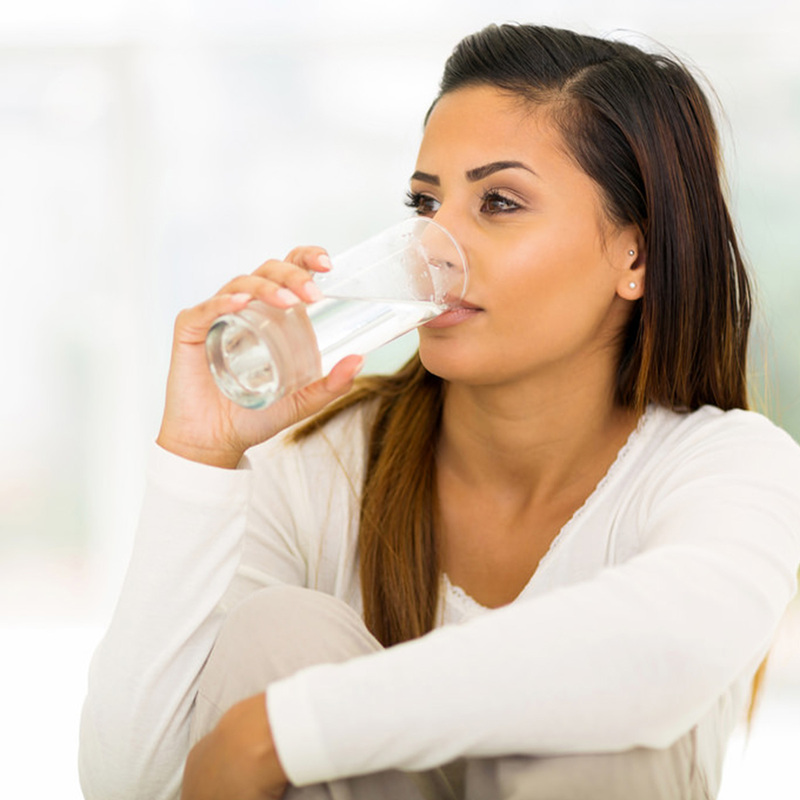 It is recommended drinking about 8 glasses of water/ day, the equivalent of approximately 2000 ml for a person weighing 70 kg. Each person needs 1 ml liquid/1 kcal consumed during the day, or, in simpler terms, 30-35 ml/kg. The recommended liquids are still water, fruit-enriched water (for instance lemonade), plant or fruit teas, an occasional fruit fresh, as well as plenty vegetables and soups. 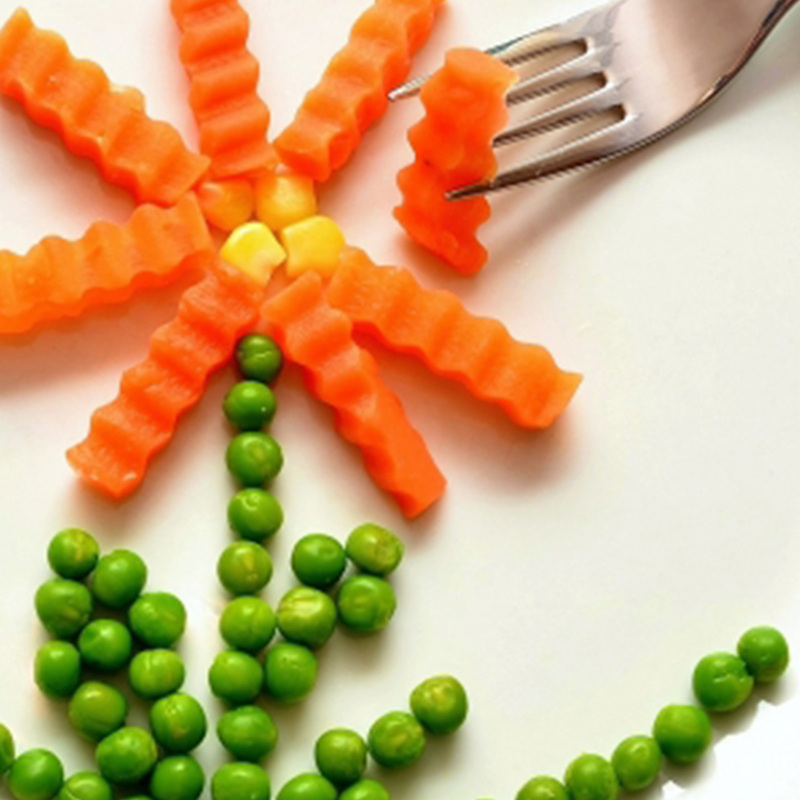 Spring has brought with it not just the sun, but also a wealth of vegetables and fruits full of vitamins and color. This is the right time for a full vitaminization, especially since, passing through winter, we have deprived our bodies of many of these vitamins. The best choice right now are salads and soups that are rich in vegetables. 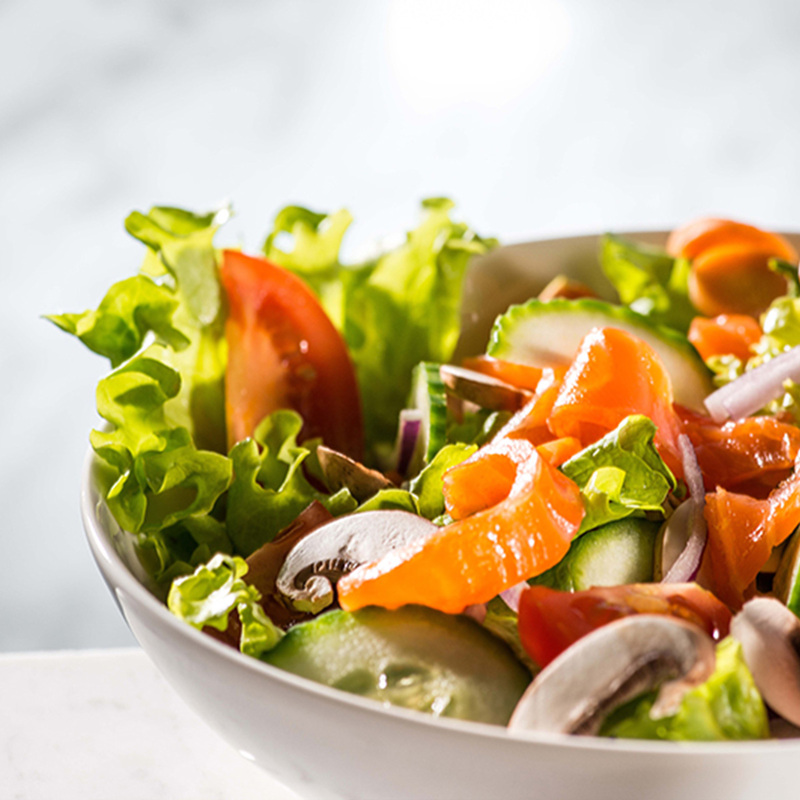 Versatile, crunchy, with a variety of textures, colors and flavors, salads are the handiest option when it comes to vitaminization. If you want to have a healthy lifestyle, get used to eat at least a salad a day, whether you do this at home, at work or in town. It is important for the health of the teguments (skin and mucous membranes), also offering good eyesight. We find it in eggs, green vegetables (spinach), green beans, orange fruits (oranges, apricots, peaches) and vegetables (carrots, peppers). A salad rich in vitamin A is Green Box. Also known as the “goodwill vitamin” or the “intellectual performance vitamin”, vitamin B is indispensible to the body due to its beneficial effects on the nervous system. We find it in beer yeast, meat, whole grain cereals, sunflower seeds, walnuts, legumes (beans, chickpea) and from muesli yogurt. It is important for the health of the hair, nails and eyes. Important sources of this vitamin are represented by eggs, mushrooms, spinach, broccoli and radishes. You can also find it in mushroom cream soups. It helps control the cholesterol and sugar level in the blood. We find it in beetroots, salmon, tuna, hazelnuts and sunflower seeds. The Tuna salad can help you acquire this vitamin. Vitamin B6 has a great influence on the growth process and can help with the treatment of cardiovascular conditions. Good sources are bananas, salmon, spinach, avocado, egg yolk or whole grain cereals. Or you could try the Alaska salad. It contributes to the proper functioning of the cells, the nervous system and the gastrointestinal tract. We find it in animal products, such as chicken, fish, beef, eggs, dairy products (cheese) or, most simply, in the Most Wanted salad. We need it especially in the winter/ summer transition periods because it helps us maintain our immunity and health. In addition, vitamin C facilitates iron absorption in the digestive tube and we can find it in citric fruits (lemons, oranges, grapefruit), broccoli, berries, melon, parsley etc. Do you want a “blast” of vitamin C? Try the fruit salad. It is essential for the bone system health, it is generated by the action of the sunrays, but we can also take it from egg yolk, fish, liver or mushrooms. You can also try our Boston salad. This vitamin is an excellent antioxidant that fights against the free radicals. 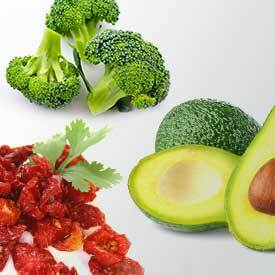 The main sources from vitamin E are: walnuts, seeds, vegetable oil, green leaves, cereals and the broccoli cream soup. It plays an important role in blood clotting. We can take it from spinach, asparagus, broccoli, green beans, eggs, meat or spinach cream soup. “Desserts don’t reach the stomach, they go straight to the heart”. This is something we all say, perhaps because it is true, however we take it. Figuratively speaking, we all enjoy a tasty dessert more with the olfactory senses than in a rational, nutritional way. A sweet snack delights our taste buds, which matters more than the fact that it provides a certain number of calories. That may or may not satisfy our nutritional needs. Literally, a dessert could get “straight to the heart” through the amount of sugar it contains. It is well-knows that a diet rich in sugar can increase the risk of obesity, of diabetes and cardiovascular conditions, such as arterial hypertension, dyslipidemia etc. Thus, if we care about our health and we wish to enjoy a healthy, long life, it is ideal to opt for a balanced and healthy diet. Although present in most foods, the human body does not need this white, processed, sugar. The human body takes its necessary sugars (glucose, fructose) from other types of foods: whole grain cereals (whole grain bread, rice, whole grain pasta, potatoes, oats, barley, rye), vegetables (beans, peas, lentil, pick pea) and fruits. In fact, it is recommended to limit sugar consumption to 30 g/ day for women and 40 g/ day for men. However, if we wish to stay clear of sugar, yet continue to indulge in the deliciously sweet treats, we could opt for less processed sweets, with higher satiability and, of course, with higher nutritional value. Ice cream, waffles, candy, jelly beans, cakes can be replaced with fruits (a perfect idea for a dessert) or with fruit yogurt. No, we are not talking about the readymade ones, which contain a significant amount of sugar, but of those we can make ourselves or that are found as such. 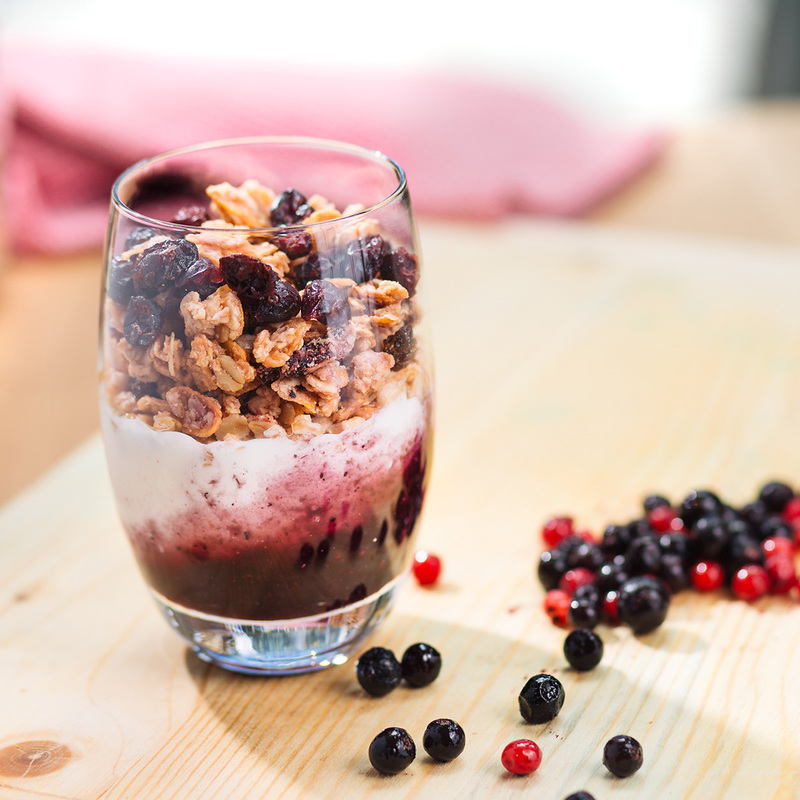 An excellent choice for a healthy dessert is simple: greek yogurt with added fresh fruits or fruit jam. If we choose greek yogurt, this has a greater amount of proteins and thus provides a prolonged feeling of satiety. In addition, it contains a much smaller amount of sugar, just like naturally present in fresh fruit or fruit jam (since it is season now). Another choice for a healthy dessert right now is pudding. We don’t need powders to obtain it, we can use a whole range of foods that have liquid absorption properties and that achieve a pudding-like consistency. Did you know that chia seeds are ideal for this? Being rich in dietary fibers, chia seeds have the property of absorbing the liquid in which they are placed and to form a gel that gives a prolonged feeling of satiety. Chia pudding is an ideal choice for dessert and it can be prepared both with animal based or plant based milk, in various combinations: with fresh fruit, fruit jam, peanut butter etc. With so many choices available, it is easy to enjoy a healthy dessert! Don’t forget, we need to nourish our souls as well as our bodies!